My friend and former co-worker Tamara Foster is one of the two women responsible for the recent debut of the HUGE new product, “In a Pikle.”. It is making some serious waves. They are selling like hotcakes. You need one. Every woman must have one in her purse, diaper bag, car, you name it. Or one in each! 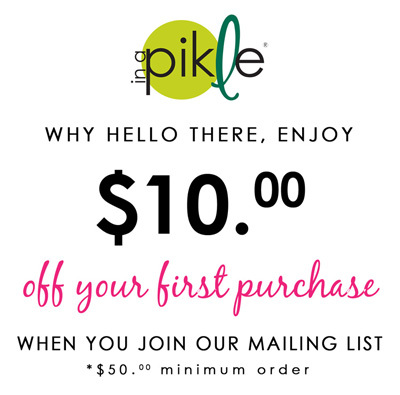 It’s everything you need when you are “In a Pikle.”, and it’s right at your fingertips with this awesome product. Not to mention, it’s fashionable and comes in many styles and colors so you are sure to find one you love. If you haven’t seen mine yet, you must take a look!I feel much more confident leaving the house and knowing I have what I need in case of a small emergency.